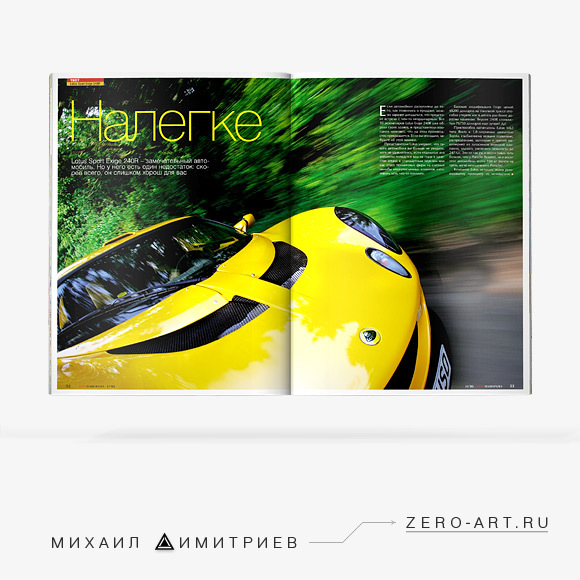 The designer’s portfolio presents editorial, print and websites design. 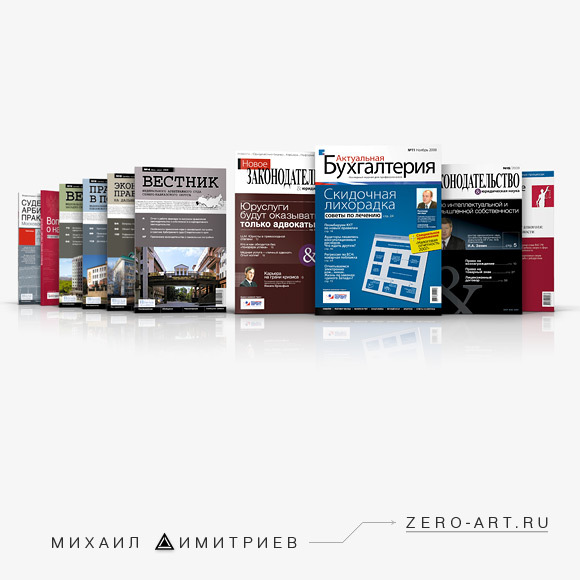 These include trade publications (professional journals, magazines and newspapers), books cover, advertising, product catalogues, corporate identity, etc. 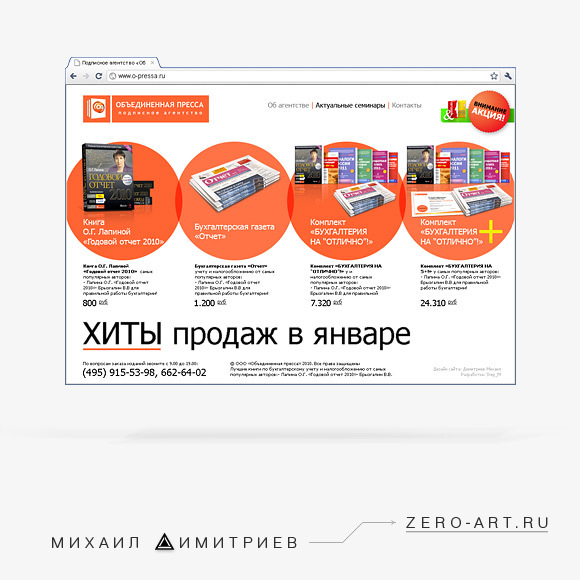 The graphic designer’s portfolio is presented as a set of examples of periodicals and printed materials built as comprehensive turnkey solutions (ideas of the design concept, dummy layout/mock-up, page layout and pre-press). 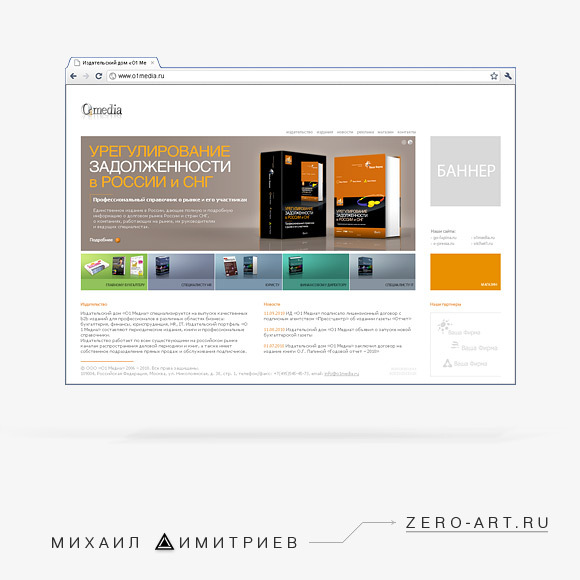 The portfolio also includes media design projects follow-up and their redesign which have been done in cooperation with pagemakers, designers, pre-press experts and software engineers. 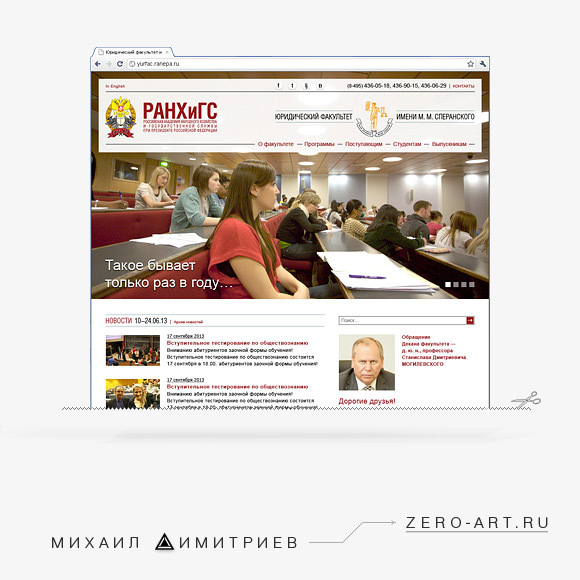 At the moment, the online portfolio has been launched as a ‘preliminary version’. 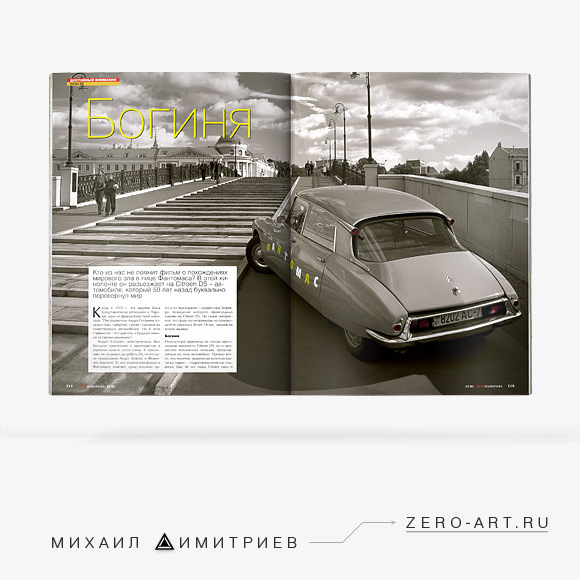 Ongoing updates have been planned—new works are going to be added along with previous works. 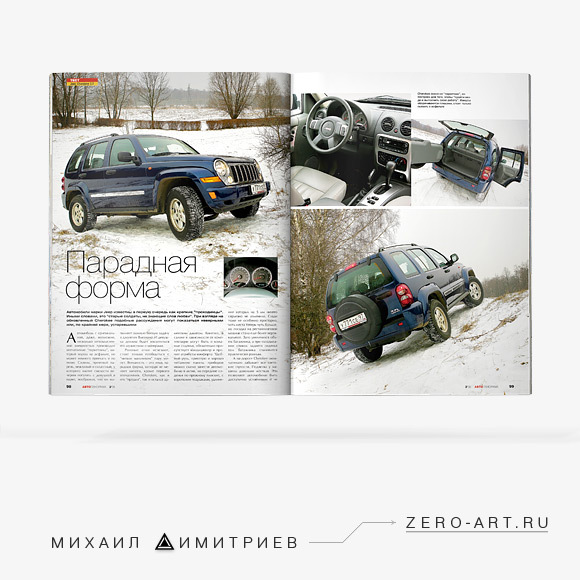 Learn the details! 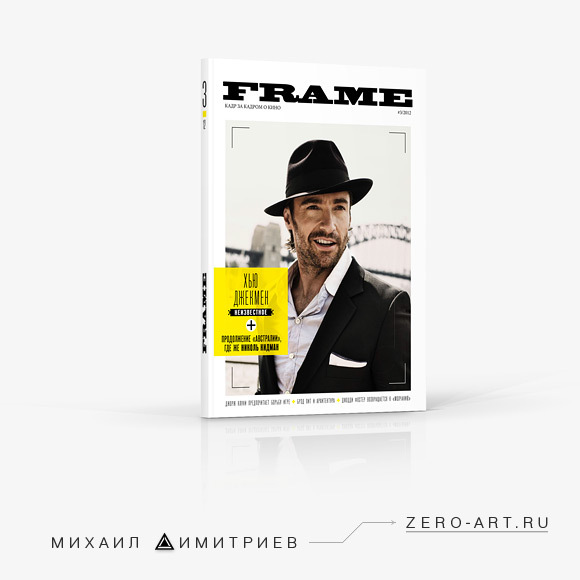 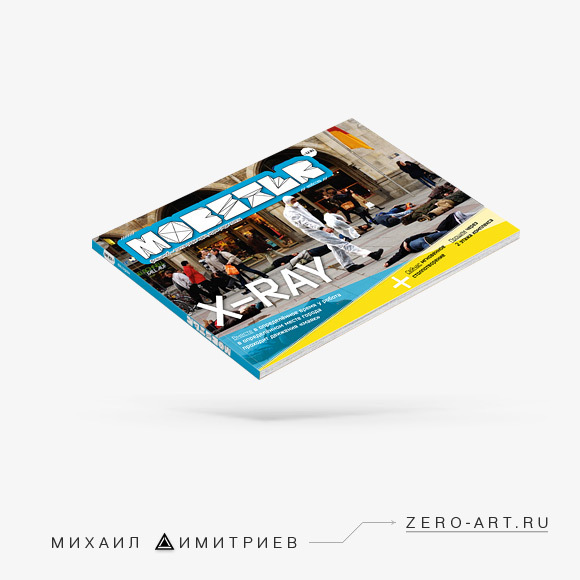 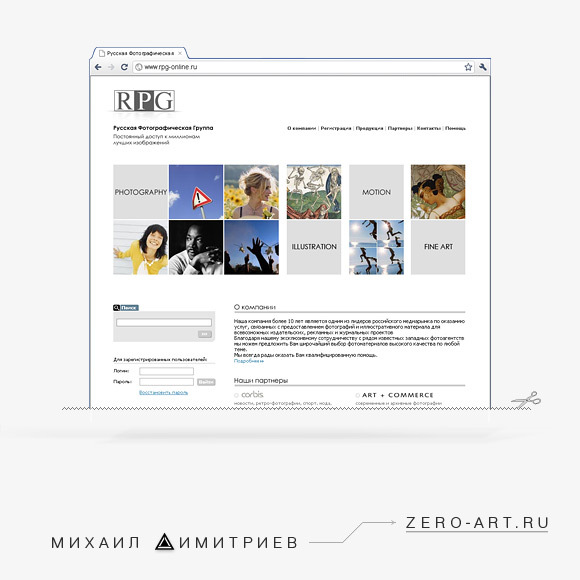 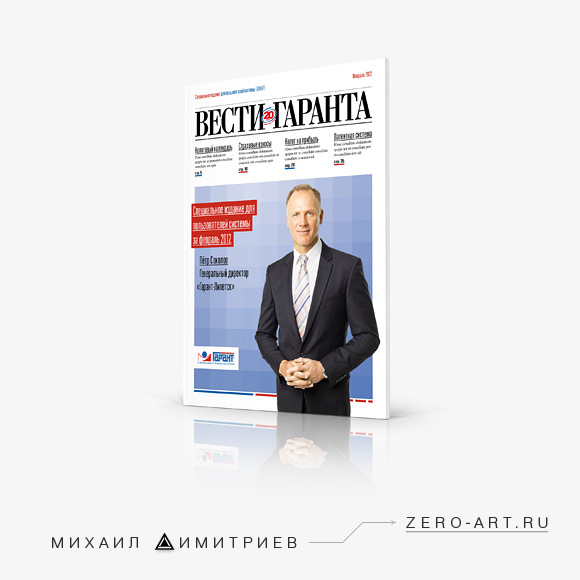 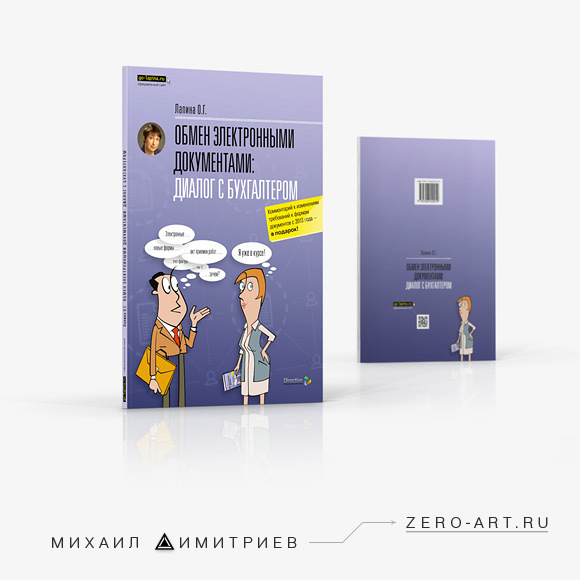 Zero-art.ru—Graphic designer’s online portfolio placed on open access as a preliminary version. 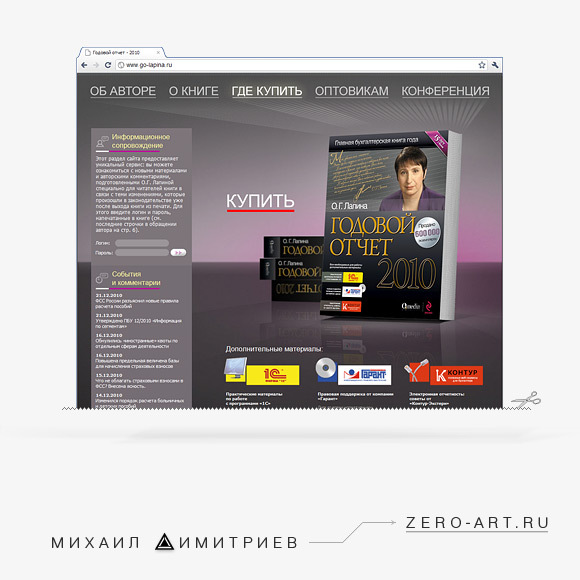 Full version of portfolio website available soon!